Fifty years ago many businesses made plans without understanding the underlying dynamics of competition, costs, and customers. It was like trying to design a large-scale engineering project without knowing the laws of physics. 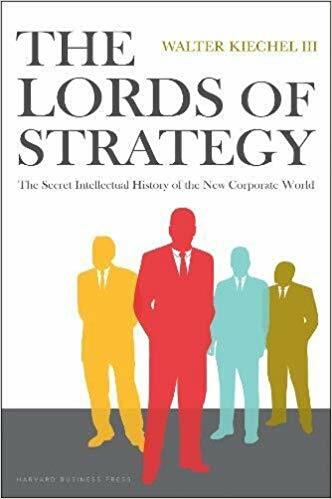 In The Lords of Strategy, Walter Kiechel tells the story of the four men who invented corporate strategy, as we know it and set in motion the modern, multibillion-dollar consulting industry: Bruce Henderson, founder of Boston Consulting Group; Bill Bain, creator of Bain & Company; Fred Gluck, longtime Managing Director of McKinsey & Company; and Michael Porter, Harvard Business School professor. Take a look at how these pioneers revolutionized the way we think about business and transformed the way we work.